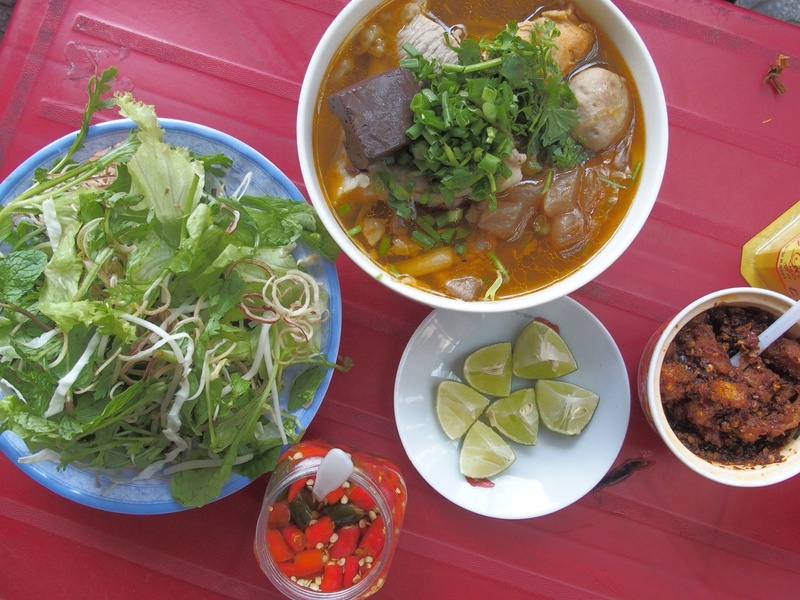 Beginning by simmering pork and beef bones, prominent by lemongrass flavor and add on shrimp paste, and being complete by lime juice, a pinch of herbs together with various appetizing optional additions such as: cubes of boiled blood pudding, chunks of oxtail and crab meat balls, Bun Bo hue or Hue beef noodle, which brings a completely different flavor compared with Phở – a worldwide famous dish of Vietnam, is the pride of Hue people. If Giac Lam Pagoda is the pride of Saigonese, Thien Mu Pagoda is the symbol of Hue. Built-in 1601 as a site of political demonstrations, Thien Mu now is where people come to pray for blessings all day long. 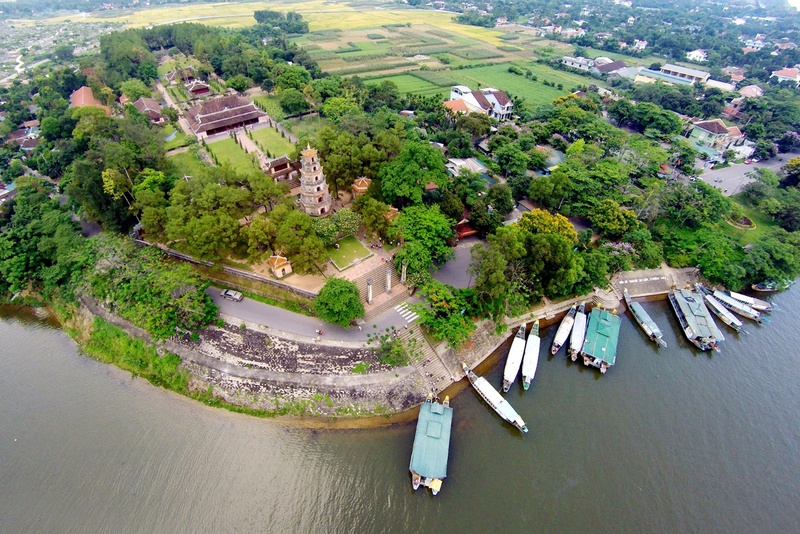 Not only the typical traditional architecture of Hue pagodas, this prestigious sightseeing also offers you with a mind-boggling view of the scenic landscape of both the flow and the surrounding areas thanks to its high position upward a charming curve of Perfume River. Moreover, a tranquil atmosphere created by bonsai, pine trees, delicate manmade pond and cannot be found anywhere else is also waiting for you. 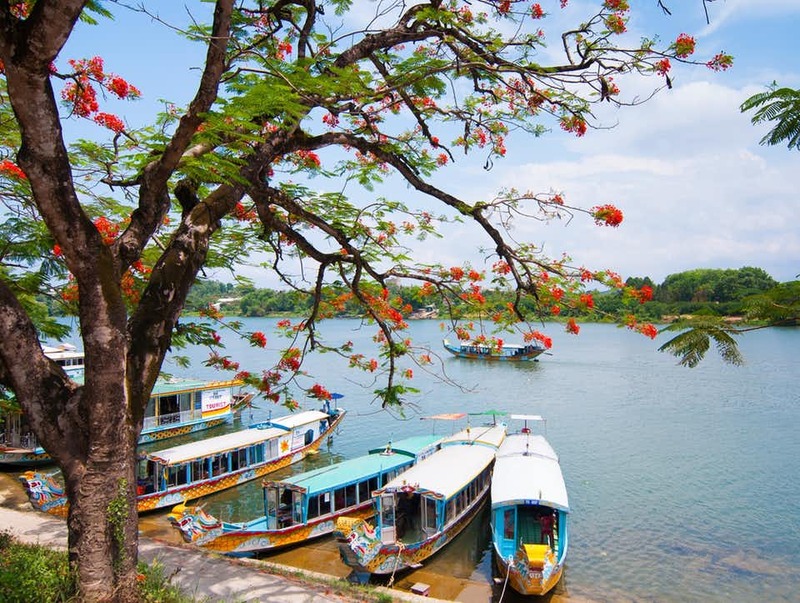 Gaining its name by its pure and fresh aroma taken from many aromatic plants along its way coming to Hue, the 80-meter long Perfume River that crosses the capital city of Hue, is where to feel the romance of this charming city at its best. 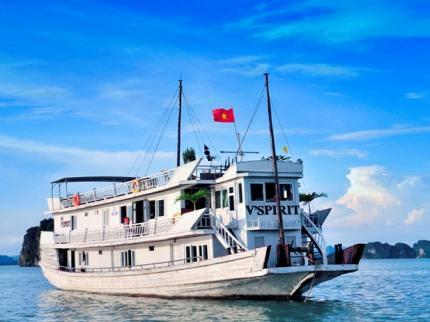 When joining a boat tour along the lifeblood of the city, you will visit a series of heritage sites and beauty-spots such as: Thien Mu Pagoda, Truong Tien Bridges, Phu Xuan, Da Vien, the Tomb of Minh Mang, Hon Chen Shrine and the Tomb of Thien Tho. 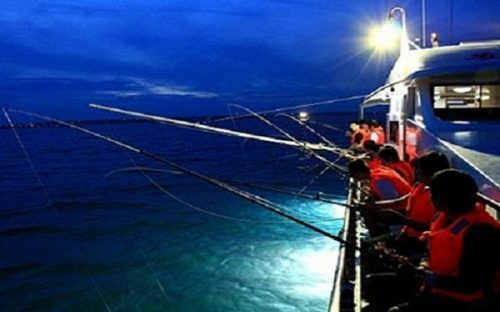 This river becomes especially beautiful at night, when its surface glistens under the starlight and the songs of the boat rowers creating the pure atmosphere of romance and beauty! A traditional Vietnamese market, Dong Ba Market is where you can find almost every stunning cultural gifts and souvenirs of Thua Thien Hue such as: me xung; non bai tho – a typical image of Hue women; Hue Sour Shrimp (tôm chua), Tinh Tam lotus seeds and get most of Hue’s mouthwatering dishes such as: mussel rice, bot loc cake, etc within its food court. The most attractive point of Dong Ba Market is not found at its structure, its old bell tower outstanding amongst the complex of buildings and sections selling a wide range of goods from seafood to clothes or its vast area of up to 16,000 square meters but the slow-paced atmosphere and daily activities of local people. 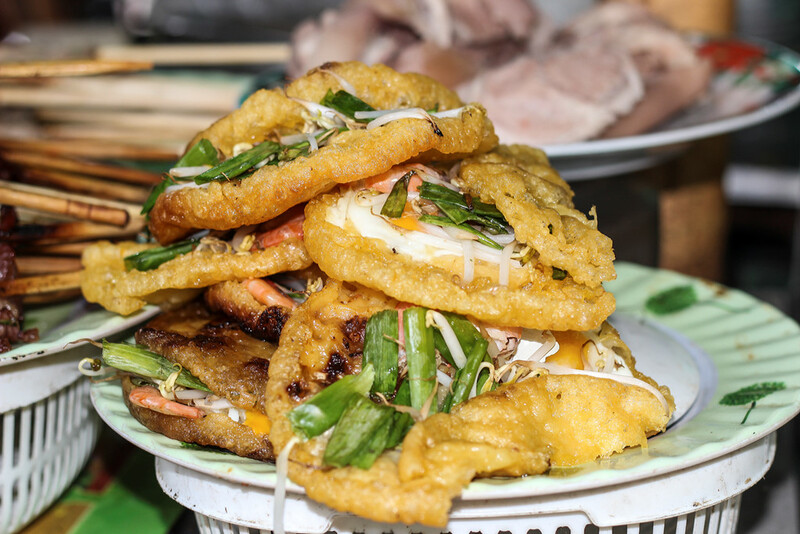 Strolling around Dong Ba Market to immerse in local cultural features is what you should spend time doing.